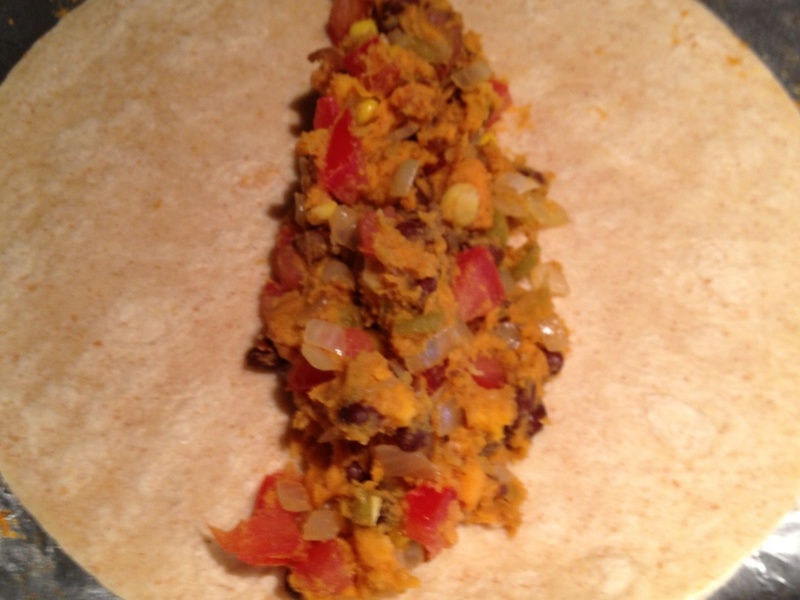 This is my take on sweet potato and black bean enchiladas. Even though there is no meat in them, they were so filling. 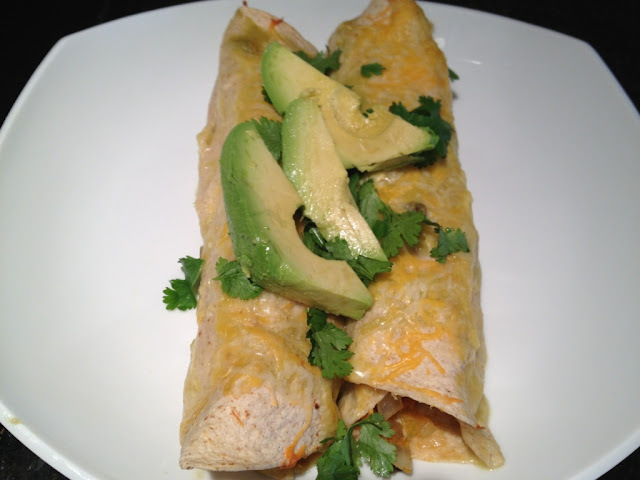 This is about as healthy of an enchilada you can get! 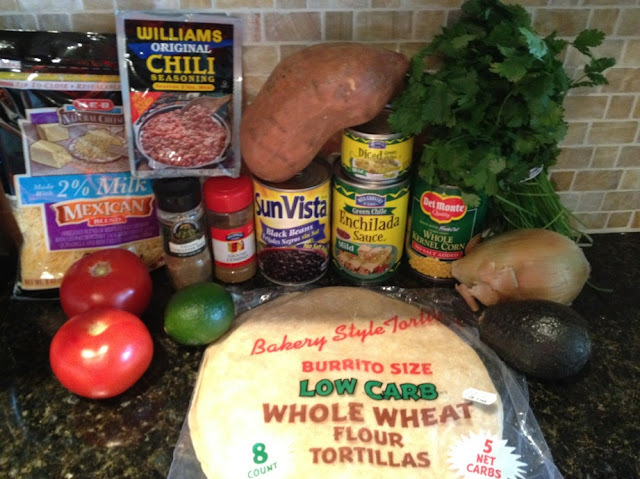 I love my chicken enchiladas but this is definitely better for you. Keep in mind there are a lot of seasonings in this dish so depending on your taste buds, you may want to eliminate one and add more of another. This combination of seasonings worked for me though. PS-This is about as close to eating vegan as I will ever get! Dice your onions, tomatoes and sweet potatoes. Place your sweet potatoes on a nonstick pan sprayed with PAM. Roast your sweet potatoes for 20-30 minutes until tender. While the potatoes are cooking, put 1 Tbsp olive oil in a saute pan with your onions and garlic and cook over medium heat. 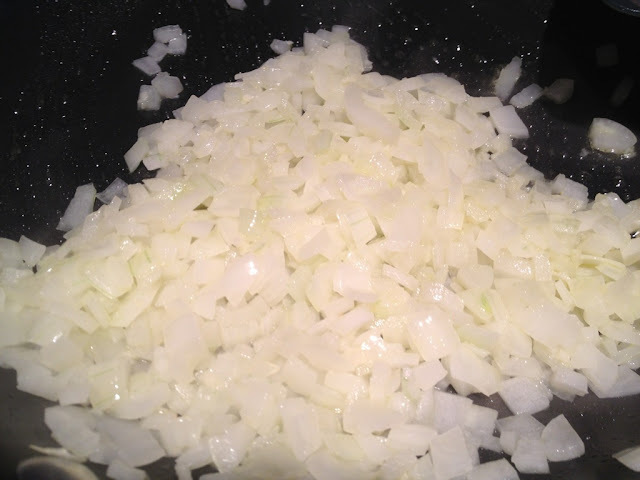 Cook onions until translucent (~10 minutes). 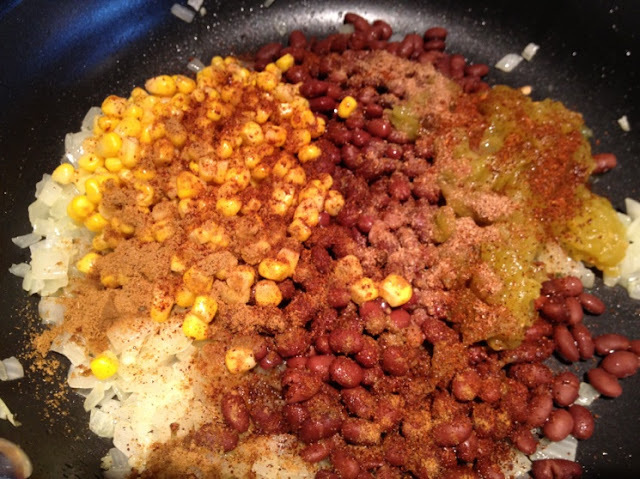 Add black beans, corn, green chiles, lime juice, and all of the seasonings (cumin, cinnamon, chili powder, coriander seed). 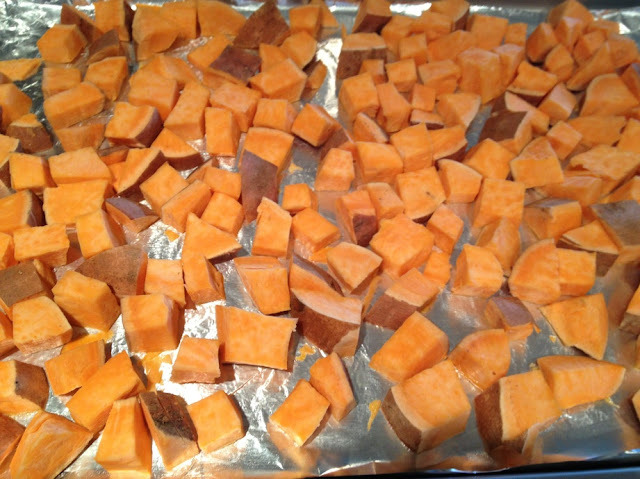 Remove the sweet potatoes from the oven and reduce oven temperature to 350 degrees. 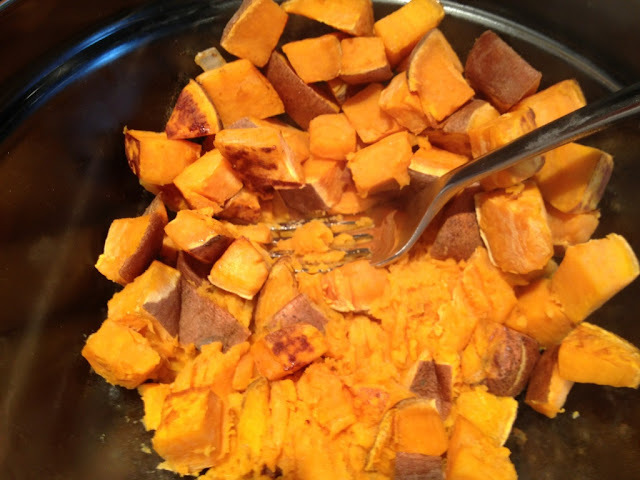 Place your sweet potatoes in a mixing bowl. Smash the potatoes with a fork. 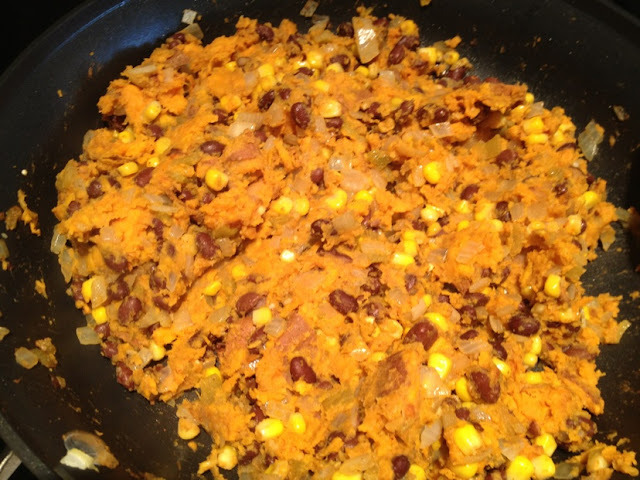 Transfer your smashed sweet potato mixture to the saute pan with the rest of your ingredients. 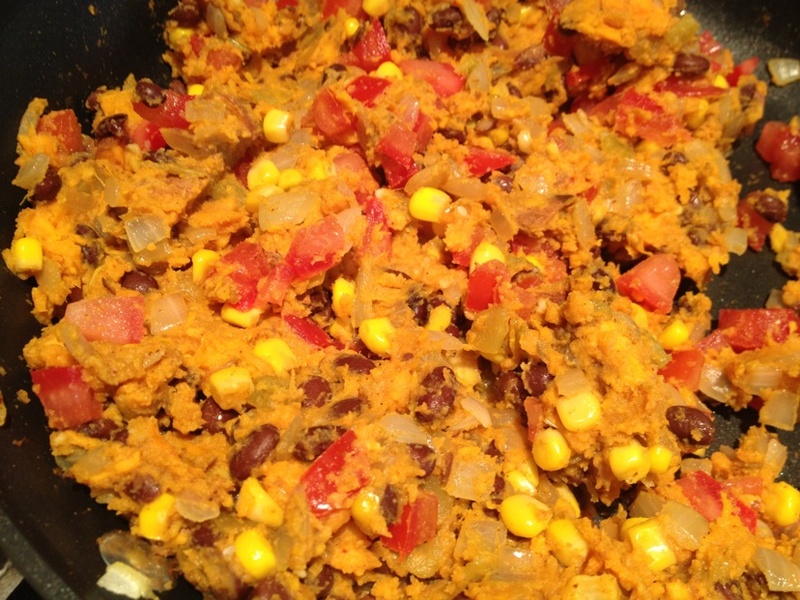 Stir all of the ingredients together to equally distribute the sweet potato mixture. Your filling should now be thick. Add the tomatoes last and season with salt and pepper. ***Spread half of your enchilada sauce on the bottom of a pyrex casserole dish. This is a very important step otherwise your enchiladas will turn out dry and stick to the dish. 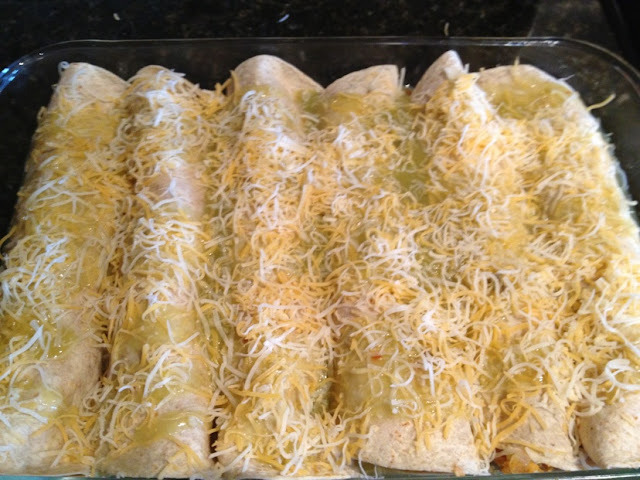 Place the filling in the tortillas and roll your enchiladas. Place in your pyrex dish. Douse them with the remaining enchilada sauce and top with shredded mexican cheese. Cook in the oven for 30 minutes. Top your enchiladas with freshly chopped cilantro, avocado slices and sour cream. Kansas City, "City of Fountains"